Fox News and MSNBC both find themselves in unusual positions right now: Fox is losing and MSNBC is winning. And there seems to be a striking similarity between the ratings race and President Trump's political fortunes. Fox, which has a pro-Trump vibe in prime time, usually ranks No. 1 among cable news channels with 25 to 54 year olds, a key demographic for advertisers. But for the past week, with Trump mired in scandal, MSNBC has out-rated Fox News in prime time in the so-called "demo." Both MSNBC and CNN have seen ratings spikes related to FBI Director James Comey's firing and the fallout ever since. The Nielsen ratings data suggests that Fox viewers are less interested. Fox still has a loyal base of viewers who watch the network throughout the day. It remains No. 1 in total viewers, with CNN and MSNBC far behind. But with the White House in crisis mode, and Fox sometimes downplaying the seriousness of the situation, channel surfers are opting for MSNBC and CNN instead. So far this week, Fox has ranked No. 3 in prime time behind both CNN and MSNBC, which almost never happens. After this story was published, MSNBC's Joe Scarborough commented on it via Twitter. He wrote, "FNC has been in 3rd place because: 1. Conservative intensity has plummeted. 2. They're not covering THE story." He said the GOP should be concerned about the decline in "conservative intensity." On Monday night, after the Washington Post broke the news that Trump shared highly classified information with Russian officials, MSNBC was No. 1 with an average of 662,000 "demo" viewers during prime time. CNN averaged 608,000 and Fox averaged 499,000. Those are big spikes for MSNBC and CNN, versus a typical night for Fox, meaning the conservative-skewing network did not benefit from the ultra-active news cycle. On Tuesday night, after The New York Times reported the allegation that Trump asked Comey to end the FBI investigation into former National Security Advisor Michael Flynn, CNN was No. 1 with an average of 719,000 "demo" viewers in prime time. MSNBC averaged 650,000 and Fox averaged 539,000. Nicole Hemmer, who recently wrote a book about conservative media, "Messengers of the Right," said Fox's "inattention to the breaking news of the day was startling" on Tuesday. "As someone who turns on Fox to watch breaking news coverage," Hemmer said, "I found myself switching over to CNN, because my hunger for any analysis was going unmet at Fox. And this represents a real problem going forward for the network: What happens when a network chooses not to cover the story everyone is talking about? Fox's ratings are down lately, and I think that could very well be connected to the lack of attention to breaking stories." 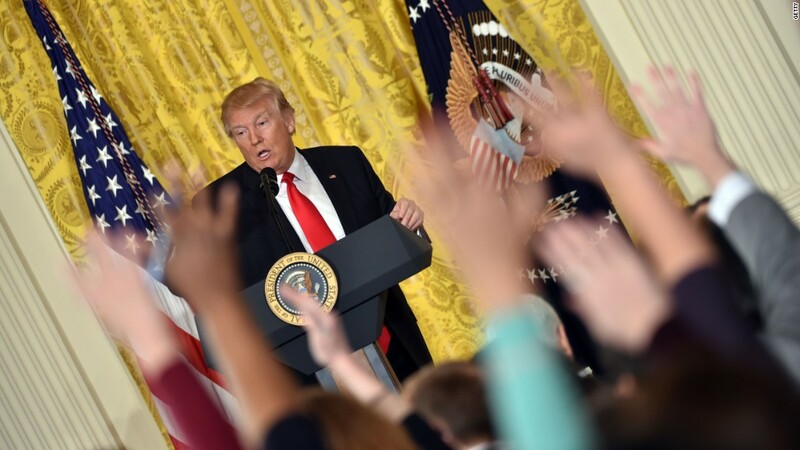 Hemmer, who is also an assistant professor at the University of Virginia's Miller Center, said the coverage "highlights a growing disjuncture between Fox's news arm and its opinion arm." MSNBC is known for its opinion arm, too, but it hasn't felt as disjointed. The channel's ratings success has been driven by Rachel Maddow, the outspoken Trump critic who has homed in on Trump and Russia storylines for several months. She had the top-rated cable news show overall on Tuesday night, topping 3 million total viewers, 829,000 of whom were in the "demo." Fox News is used to being in first place in the ratings race -- and by a relatively comfortable margin. But Maddow has been creeping up on Fox for a while, fueled by Trump opponents who look forward to her nightly monologues. Fox introduced a brand new prime time lineup just a few weeks ago. "Tucker Carlson Tonight," now at 8 p.m. instead of 9, has retained most, but not all, of the viewers who had been loyal to Bill O'Reilly and his "O'Reilly Factor" before he was fired amid a scandal over sexual harassment allegations. It's still too soon to fully assess how well the new Fox schedule is doing. But in one way Maddow seems to be the new O'Reilly: the host who generates the biggest spike in nightly cable news viewership.